Congratulations on this remarkable achievement Michael. Congratulations on being the first to cross this impressive threshold. An amazing collection and wonderful photographs. Thank you everyone. When I started my collection thread, I never thought that it would develop into what it has become. It has been a joy to share my collection with you and hope to see more of your collections in the future. It is a real pleasure to discover your treasures each time. 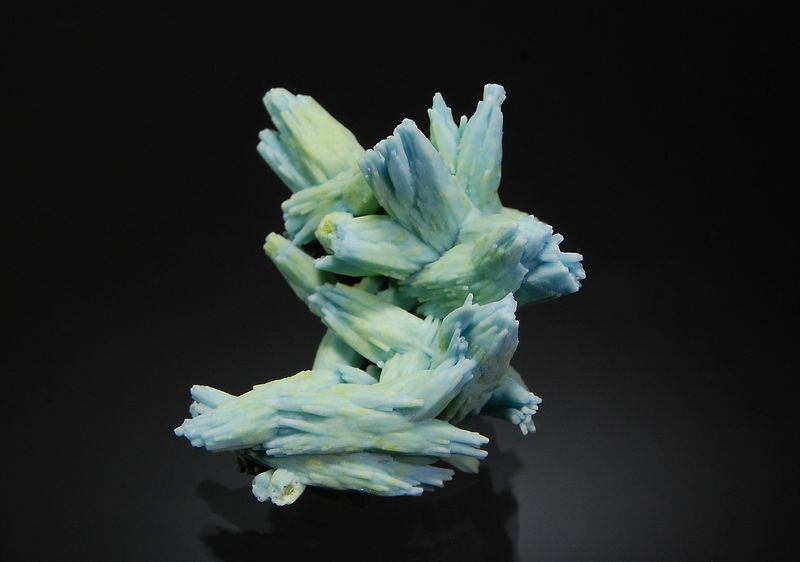 Excuse the delay in responding; we've been away - to a mineral show actually. So ..... there will be more photos to come :>) I'll start off with this one. 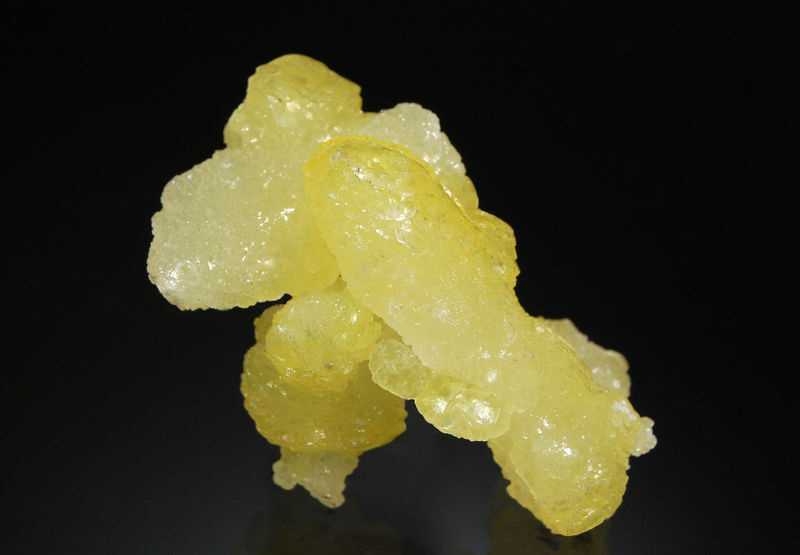 There was a plentiful supply of these lemon yellow brucites at the show, and prices were all over the map. Many were quite inexpensive compared to when they first appeared. Sometimes it pays to wait. This one has no point of attachment and immediately caught my eye. 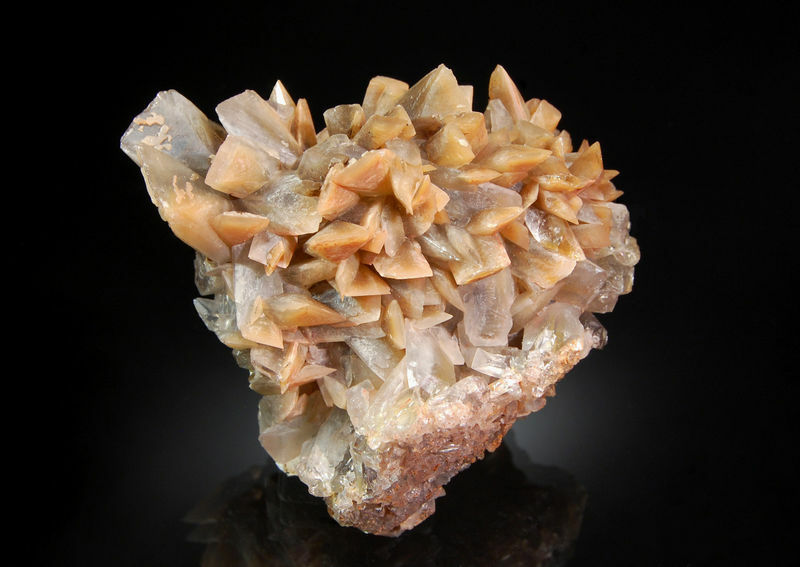 Chisel-shaped gray barite crystals to 1.5 cm with brown inclusions in many of the crystals. 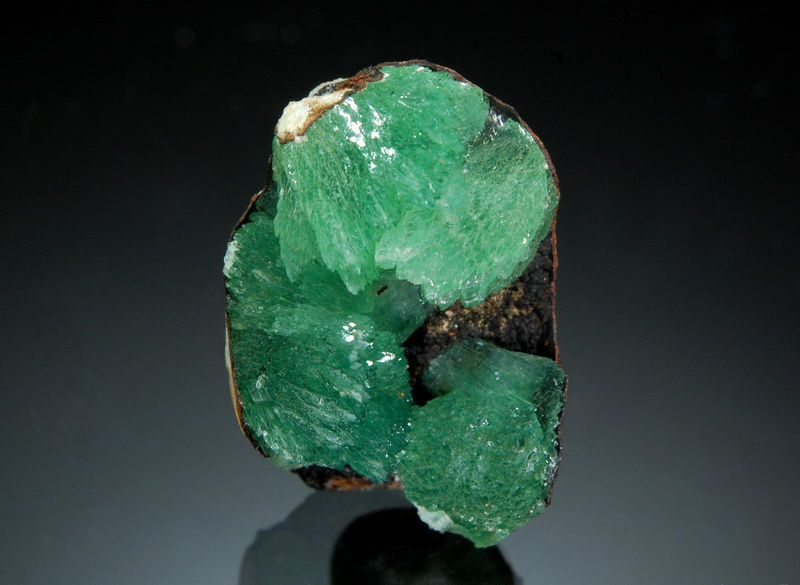 Lustrous green anapaite crystals forming aggregates of tightly-packed bladed crystals. Backside of the specimen showing the fossil bivalve shell that provided the calcium and phosphate needed to form this uncommon phosphate species. Description: Backside of the specimen showing the fossil bivalve shell that provided the calcium and phosphate needed to form this uncommon phosphate species. Very beautiful little shell, Michael! 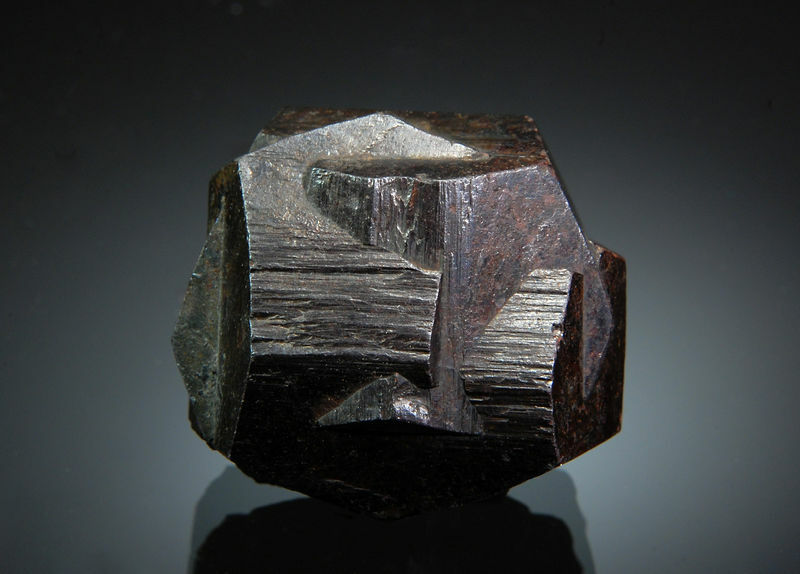 Two intergrown pyritohedrons forming an "iron cross" twin. Cubic pseudos of goethite after pyrite are ubiquitous and pretty common, but this is the first time I have seen twinned crystals like this. This specimen was acquired at the recent Denver Show - some of these reached the size of a tennis ball and were quite striking. 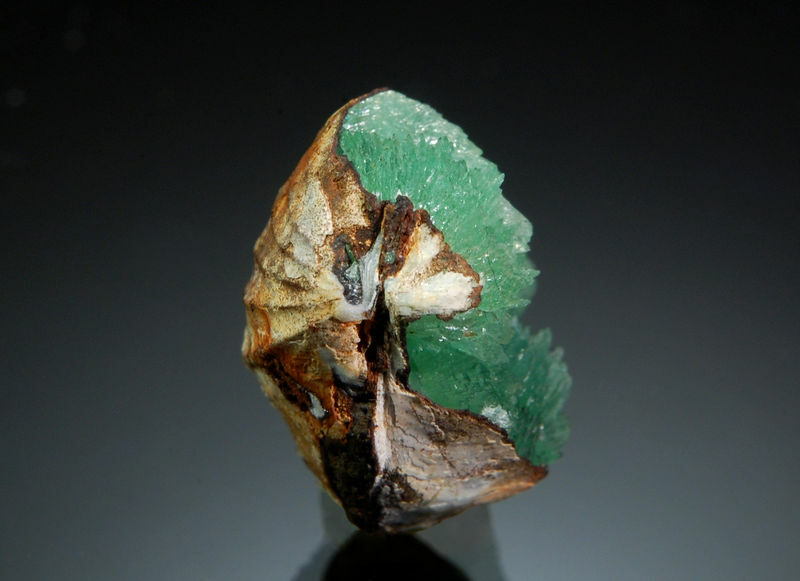 Here is a common mineral from an uncommon locality. Lake Assal lies at the bottom of a depression surrounded by mountains. It is 155 meters below sea level and fed by very salty springs and sea water that seeps through cracks from the nearby sea. 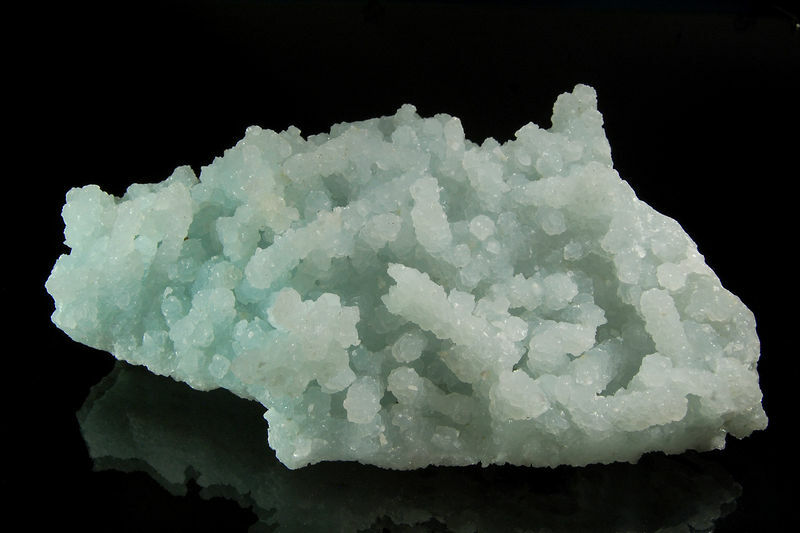 Salinity is 370 grams of salt per liter of water. 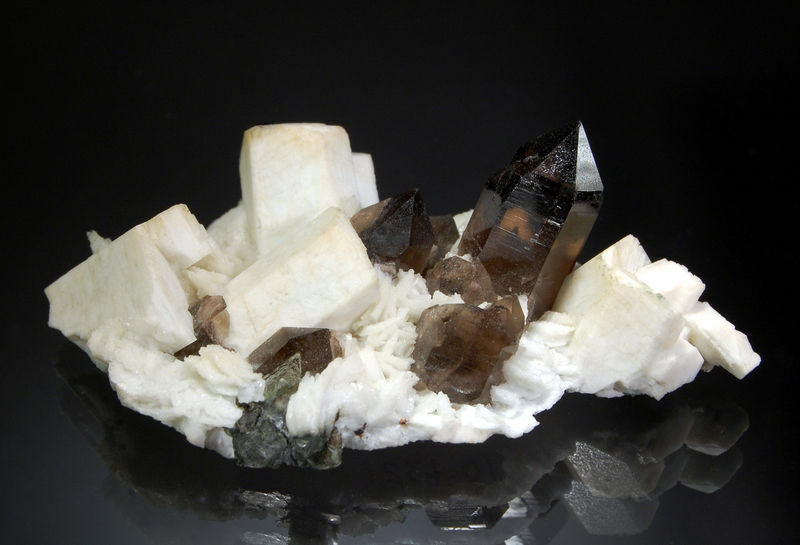 Several transparent smoky quartz crystals associated with creamy microcline crystals and bladed white albite var. 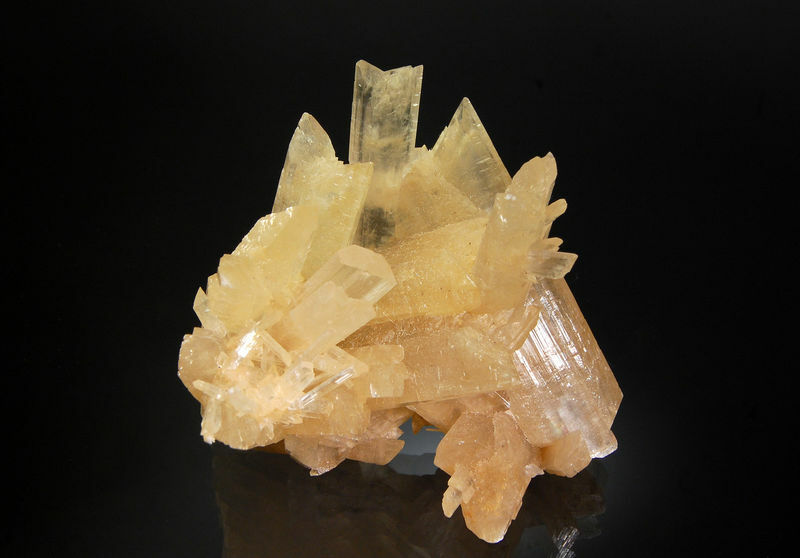 cleavelandite. 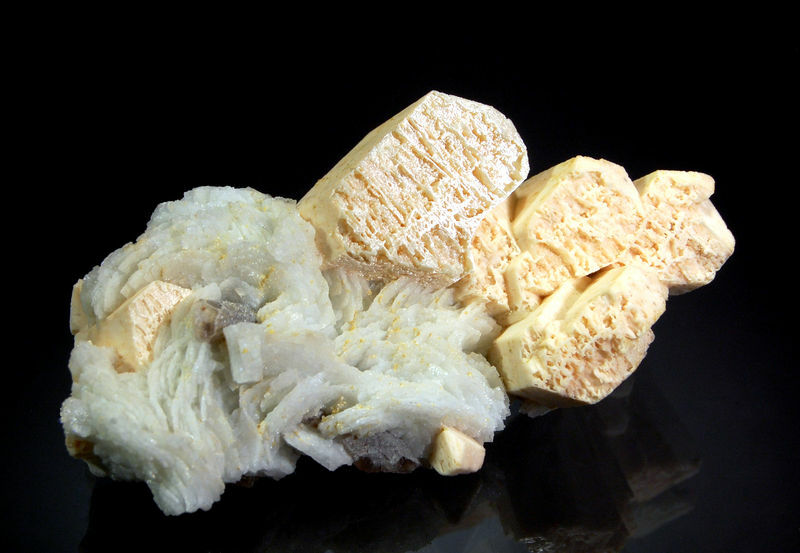 Blocky flesh-colored microcline crystals to 2.4 cm showing interesting partially etched faces and associated with bladed white albite and minor quartz. 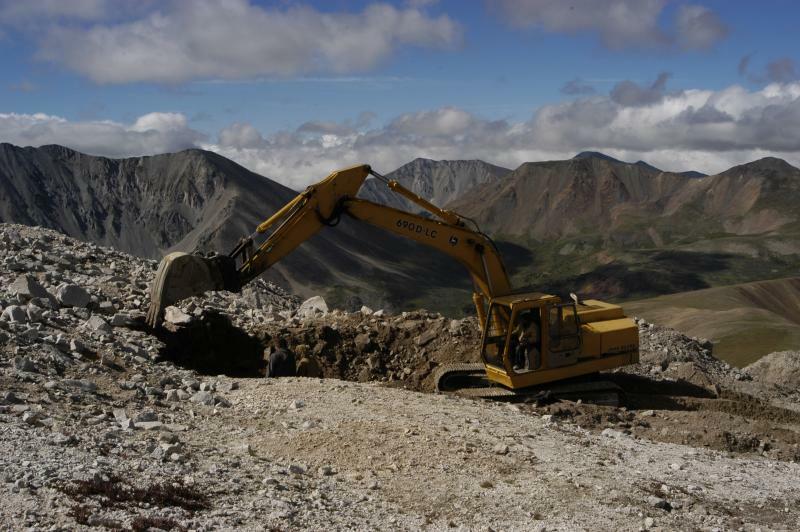 As a youth, The Government Pit was my first field collecting trip to the Whites, Mike. Nice pieces. Thanks Vic. I was able to collect at many New England localities as a kid, but never made it to Government Pit. 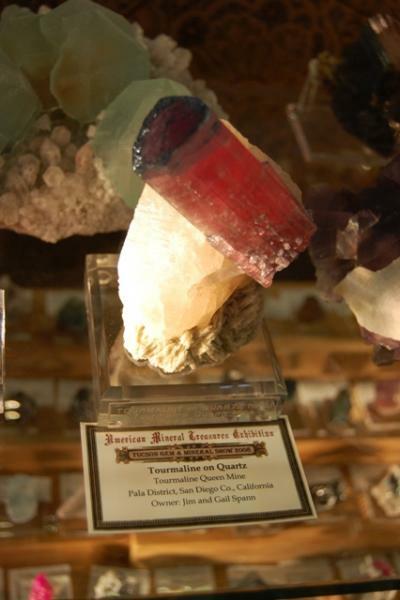 These pieces were collected by Ernie Schlichter, who collected there often.